GPS Tracker, GPS vehicle trackers can help you locate and track your vehicles including cars, trucks etc. The trackers have many functions such as SOS alarm, real-time tracking, and voice monitoring, two-way communication and durability. You can move your tracker from car to car. Or you can track your vehicle even if it’s being stolen. GPS Tracking Device is used to collect radio signals from the network of satellites orbiting the earth and use those signals to determine abundant data related to location and position, recording the detailed data directly to a GPS receiver or transmitting the information to a off-site computer server where that location data can be accessed by a computer, mobile device or tablet with internet capabilities. 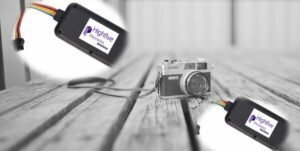 Highfive electronics supplies a full range of GPS tracking device that such as personal GPS tracker, asset GPS tracker, vehicle GPS tracker and other portable tracking device.